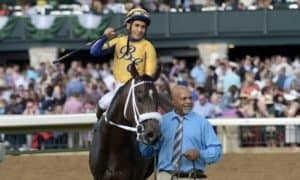 ELMONT, NY – Gary Hartunian’s Roy H, making his stakes debut in his first race outside of California, swept to the lead at the top of the stretch and sprinted clear to a 2 1/2-length upset in Friday’s Grade 2, $250,000 True North at Belmont Park. 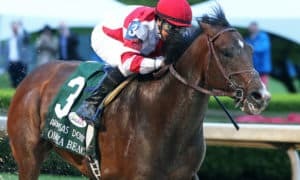 The 39th running of the 6-furlong True North for 4-year-olds and up was the first of four graded stakes on an 11-race program that marked the midpoint of the three-day Belmont Stakes Racing Festival presented by NYRA Bets. Ridden for the first time by Paco Lopez for trainer Peter Miller, the 5-year-old gelding hit the wire in 1:08.59 over a fast main track to extend his win streak to three races. Multiple stakes-winning millionaire Stallwalkin’ Dude made a late rally for second, 3 3/4 lengths ahead of even-money favorite Whitmore. 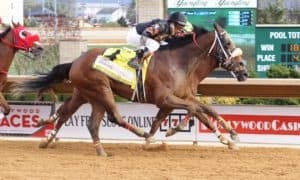 It marked the first win in four dirt starts for Roy H, coming over such accomplished sprinters as Stallwalkin’ Dude; Whitmore, a multiple Grade 3 winner defeated for the first time in seven tries at 6 furlongs; the Grade 1 Carter winner Green Gratto; the Grade 3 Gallant Bob winner Noholdingback Bear; and multiple graded stakes-placed Fellowship. “That was unbelievable,” Miller said. 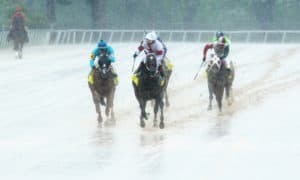 “This horse ran super. I wasn’t intimidated at all by this field. 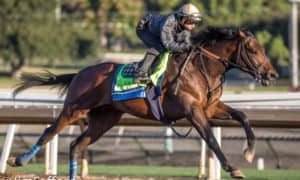 I thought that if he ran his race, he’d win. I really did. I just didn’t know if he’d run his race, but he showed up today and ran his race. Stallwalkin’ Dude’s stablemate Chief Lion was fastest from the gate out of his rail post and took the field of eight through an opening 1/4 mile in :22.28, with Green Gratto and Holy Boss in closest pursuit. Lopez had Roy H in the clear three-wide leaving the backstretch as the leaders went a 1/2 mile in :44.82. Roy H ranged up on Green Gratto and Holy Boss around the turn and slingshot past Chief Lion as they straightened for home. 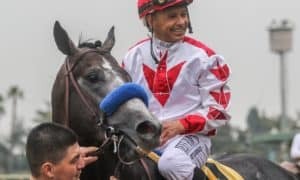 Lopez peeked behind four times as they powered down the stretch with plenty left to turn away a belated bid from Stallwalkin’ Dude. 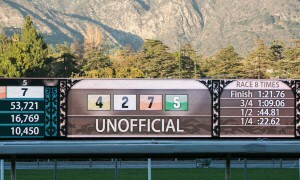 Sent off at 6-1, the $150,000 winner’s share nearly doubled Roy H’s career bankroll to $307,265. 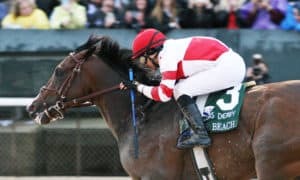 Whitmore, a winner of his five previous starts including three stakes since being cut back to sprint distances, was never in contention racing near the back of the pack before jockey Ricardo Santana, Jr., was able to get the 4-year-old gelding rolling late. Following Whitmore under the line were Fellowship, Green Gratto, Holy Boss, Noholdingback Bear and Chief Lion. El Deal was scratched. Roy H returned $14.80, $7.90, and $4.30. 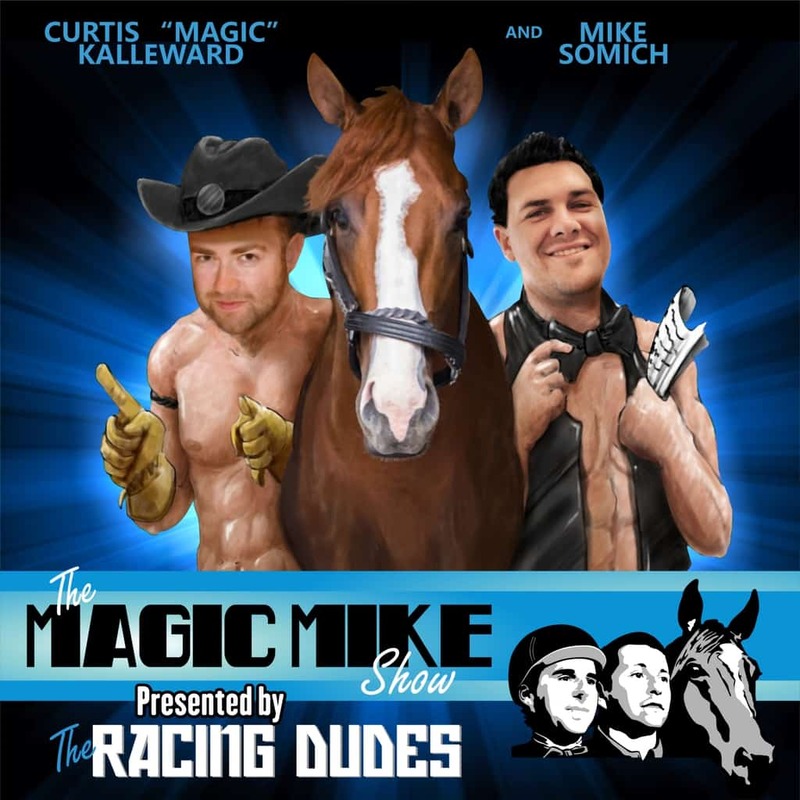 Stallwalkin’ Dude brought back $4.80 and $2.70, while Whitmore paid $2.30 to show. 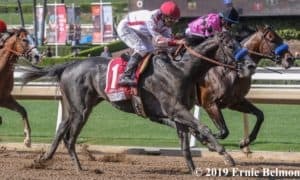 Trainer Peter Miller, Roy H: “My assistant, Reuben Alvarado, has been training this horse at Santa Anita with my second string and he’s done a super job, so I want to say thank you to him and to (owner) Mr. Hartunian. This is his first time running outside of California, and he shipped great. He really did everything just professional, and Paco (Lopez) gave him a great ride. 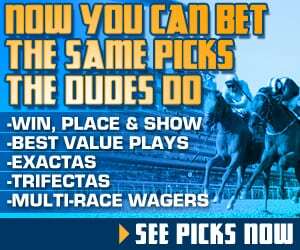 Paco’s ridden winners for me in the past at Monmouth and in California when he’s come out. We love Paco. He’s my kind of rider: speed.